Our summer was indeed very busy, with excursions and outings weekly. Yui was really sunburned but it sure was fun to be in the water. 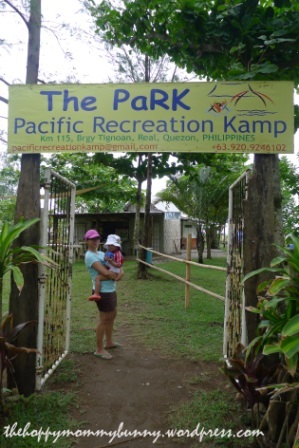 One of the places that we’ve been was The Pacific Recreation Kamp (The PaRK) at Real, Quezon. 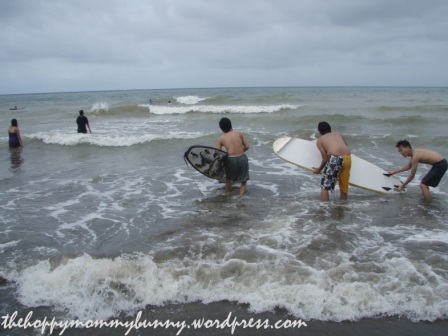 It was hubby’s company summer outing and his teammates are frequent visitors of the place, being surfing enthusiasts. The PaRK is popular for surfers since there are nice waves that they can truly enjoy. 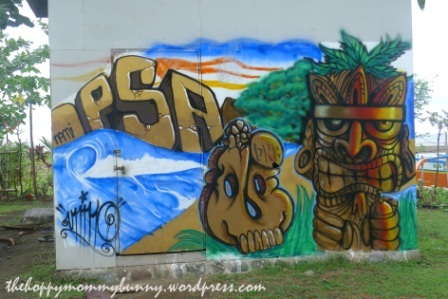 Arriving at The PaRK, you will see this neat graffiti wall with PSA on it, which, I assume stands for Philippine Surfing Academy. Even though the place is mainly for surfing, we still made the most of our stay there and enjoyed the other things that they offer. 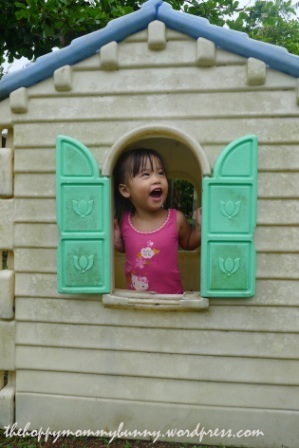 In their vast lawn, there are chairs made from recycled car tires and a play house that kept the little one entertained. 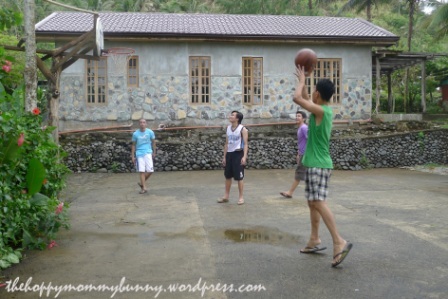 The guys also had fun playing basketball and lawn bowls. 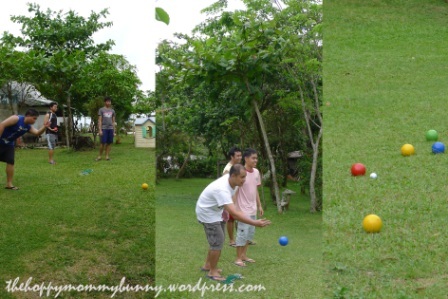 It was the first time that I saw those lawn bowls and I thought at first that it was just a game invented by the owner since they have a huge lawn to play with. Apparently, it really is a sport popular in the UK and other parts of the world. This is the side of the Tignoan River. 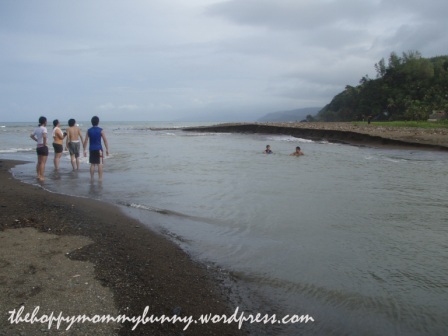 Going to the surfing area, you have to cross the estuary. It is chest-deep but the current can make it difficult to cross. 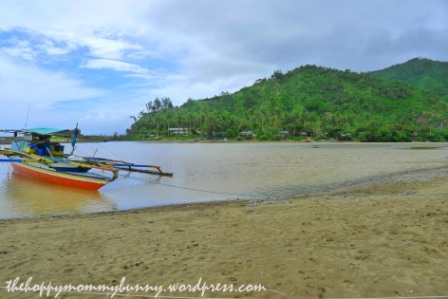 We had to ride a banca to cross that small stretch because Yui was scared of the fast-moving current. We took the Antipolo route, going to Teresa, Baras, Tanay, Rizal and then to Famy, Quezon going to Real and Infanta Quezon. 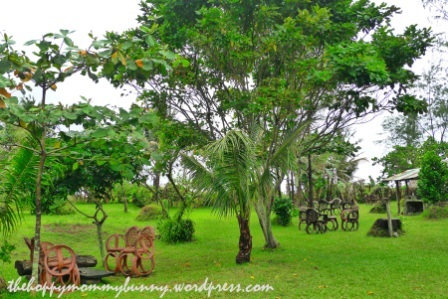 The ParK is at Brgy. 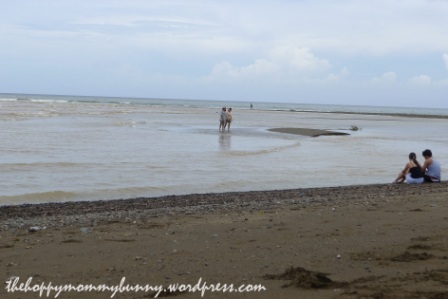 Tignoan, Real Quezon. A lot of times it’s difficult to get that “perfect balance” between user friendliness and visual appearance. I must say you’ve done a amazing job with this.